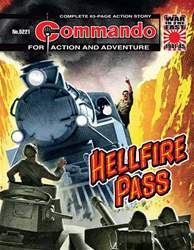 (0 Customer Reviews) | Write Review 100 issues per year Since 1961, Commando Comics have been the Home Of Heroes. Commando is Britain's longest-serving — and best — war comic for stories of action and adventure. On land, at sea and in the air, our stories cover every corner of the globe and are set throughout world history. With a digital subscription you can browse your comic library via your own personal bookshelf, download issues to read, tap an issue to open it, and flip through pages with a swipe of a finger. 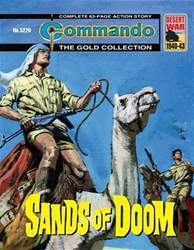 Looking for Commando in print? 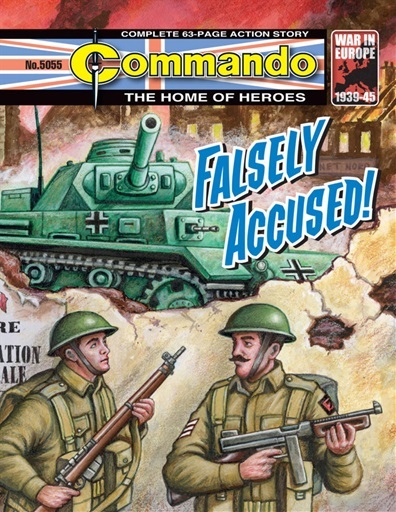 Unfortunately pocketmags.com does not sell print copies of Commando, but all is not lost. Our partner at magazine.co.uk sells print subscriptions at the best prices online. 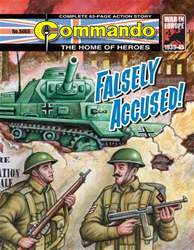 Commando - 5055 - Falsely Accused! During the chaos of the Dunkirk retreat, units were scattered under fire from German aircraft. Many soldiers were left alone, separated from their squadrons. Some took this opportunity to scavenge valuables. So, when Private Bill Wilson wandered alone into a ruined French village with a bag of looted treasure, Sergeant Thomson did not believe Bill’s story. How could Bill change Thomson’s mind and prove his innocence? 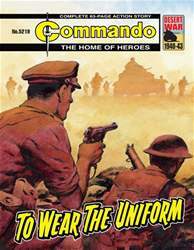 Since 1961, Commando Comics have been the Home Of Heroes. Commando is Britain's longest-serving — and best — war comic for stories of action and adventure. On land, at sea and in the air, our stories cover every corner of the globe and are set throughout world history. With a digital subscription you can browse your comic library via your own personal bookshelf, download issues to read, tap an issue to open it, and flip through pages with a swipe of a finger. You'll receive 100 issues during a 1 year Commando magazine subscription. You'll receive 100 issues during a 1 year Commando magazine print subscription.